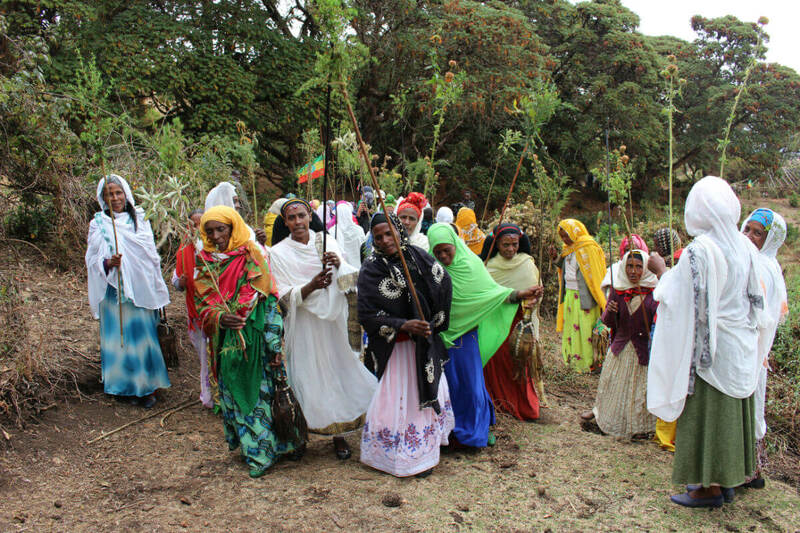 From North and South Dakota to the Highlands of Ethiopia, the sacred natural sites and territories of Indigenous Peoples face the threat of destruction; destruction that is often legitimized and legalized by state and regional institutions. But on the African continent, there are hopeful signs things are beginning to move down a different path. Last week, Africa’s largest and most respected human rights institution published a new resolution urging states, businesses and civil society to recognize and protect Africa’s sacred natural sites and territories in order to guarantee the human rights of her people, and especially the rights of Indigenous Peoples. Passed at the African Commission on Human and Peoples Rights’ (ACHPR) 60th Ordinary Session in Niamey, Niger, the resolution is remarkable for its decolonizing tone and content. In its wording, the resolution acknowledges the continuities of land, culture, life and rights that characterize indigenous cosmologies. It also recognizes the role already played by custodian communities in protecting sacred sites; communities often dispossessed and marginalized by mainstream conservation initiatives. States must abide by regional and international laws and respect the rights of custodian communities to govern sacred lands according to their own governance systems, the resolution stresses. Though it is not legally binding in a straightforward way, according to ACHPR Commissioner Soyata Maiga, the resolution positions the commission “at the vanguard of indigenous peoples’ rights in Africa” and strengthens indigenous-led protection of sacred natural sites and territories across Africa at a critical moment. Thanks to millennia of culture-based conservation, by some estimates, indigenous territories and the sacred sites embedded within them are home to 80% of the planet’s remaining biodiversity. There is growing global recognition that recognizing and respecting indigenous land rights and governance systems is critical for addressing the most pressing issues of our time, including climate change. 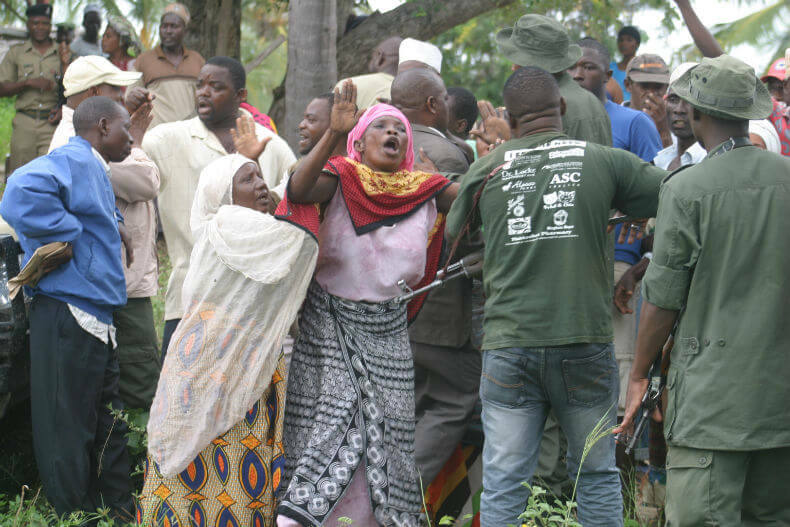 But despite this, threats to sacred lands are intensifying in Africa and elsewhere. New research from the African Commission’s Working Group on Indigenous Peoples (WGIP) and the International Working Group on Indigenous Affairs (IWGIA) reveals the extractive industries to be of particular threat to African Indigenous Peoples and their sacred lands. African Indigenous Peoples are suffering “environmental degradation, cultural ethnocide and gross human rights violations” at a new frontier of extractive projects feeding “skyrocketing global demand for natural resources driven by the growth of both western and non-western economies”, says the report. World Heritage Sites, national parks and other protected areas are all under threat. According to the United Nations Environmental Programme, 29% of Africa’s protected areas are impacted by oil and gas blocks alone, which have a combined area of 9,030,084 km2. The sacred natural sites and territories protected by Indigenous Peoples face a similar onslaught that is far less easy to quantify due to the failure of many African states to recognize the collective rights, governance systems, and in some cases the existence of Indigenous Peoples. This means sacred natural sites and territories are often rendered ‘invisible’ compared to formally protected areas, making them a ‘terra nullius’ for resource exploitation without consent, says the new report. The African Commission’s new resolution explicitly recognizes and makes visible the sacred natural sites and territories of Africa’s Indigenous Peoples and calls on states and business to respect their customary governance systems. According to Roger Chennels, human rights lawyer and legal advisor for the South African San Institute, this represents an important step towards decolonizing legal systems that enable exploitation of Indigenous lands. The resolution indirectly builds on a major victory for Indigenous Peoples at the 2016 World Conservation Congress, which called for all protected areas and sacred natural sites and territories to be ‘no-go’ for extractive industries. According to Melakou Tegegn, Expert Member of the African Commission WGIP, the resolution is intended to strengthen Indigenous Peoples right to Free, Prior and Informed Consent. The resolution empowers the African Commission, the continent’s leading human rights watchdog, to pressure African states directly to ensure they are aware of and implementing the resolution at national level. “With the resolution in place, the Commission, which is a quasi legal body, can now hear cases about the violation of sacred natural sites. It can refer cases to the African Court to hold violators to account and develop best practice guidelines for states, NGOs and other regional bodies on how to recognize and support sacred natural sites and their governance systems. The resolution will bring far more scrutiny to sacred site protection and indigenous rights across the continent”, says Joseph Lambert, Legal Officer at The Gaia Foundation, a member of the civil society coalition that lobbied for the resolution. Nigel Crawhall, Director of the Secretariat for the Indigenous Peoples of Africa Coordinating Committee, believes the resolution can act as a “springboard” for new legislation recognizing and protecting sacred natural sites and their custodians across Africa and globally. “Africa has a strong tradition of sacred natural site conservation and it is part of our ongoing efforts to decolonize the law and conservation that makes this event so important for the whole continent. Currently only Benin has legislation on Sacred Natural Sites and this will be a great opportunity for the IUCN (International Union for the Conservation of Nature), African Commission and other groups to get laws and policies adopted nationally and regionally. This will also serve as a springboard for the United Nations Convention on Biodiversity to adopt binding language on sacred natural sites conservation and stewardship,” says Crawhall. The African Commission’s resolution is the latest victory in a decade-long campaign by Indigenous custodians and civil society allies to secure greater recognition and protections for sacred natural sites and territories. The new resolution’s content is directly inspired by a 2015 statement on sacred natural sites and territories drawn together by Indigenous custodians of sacred natural sites from Benin, Kenya, Ethiopia, Uganda and South Africa. 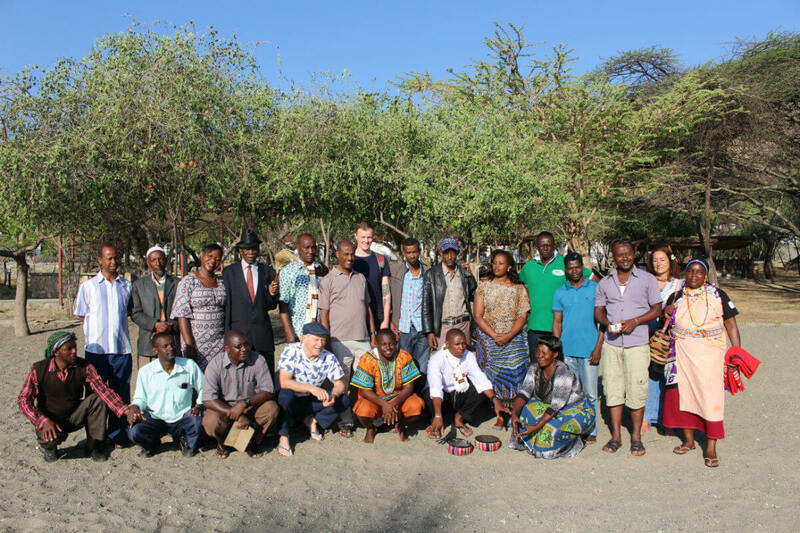 The statement forms the heart of the wider ‘call’ to the African Commission from The Gaia Foundation, African Biodiversity Network and a coalition of African civil society groups that led advocacy efforts to make the resolution a reality. Within the document, custodians set out the importance of sacred natural sites and territories to their lives in no uncertain terms. “Sacred natural sites are the source of life. Sacred natural sites are where we come from, the heart of life. They are our roots and our inspiration. We cannot live without our sacred natural sites and we are responsible for protecting them,” the custodians explain. Indigenous communities across Africa have been making great strides towards the recognition and protection of their sacred natural sites at local and national level, in some cases reviving governance systems, knowledge and identity in the process. In Ethiopia’s Bale Mountains, communities have demarcated and secured legal recognition for twenty-two sacred natural sites, some of which have been protected from encroachment of farmland and reforested. With support from MELCA-Ethiopia, the area’s elders’ forum has been strengthened, cultural houses re-built and youth re-introduced to aspects of their culture that had been imperiled. In Benin, Indigenous communities and civil society groups successfully lobbied for a national law protecting sacred forests in 2012. The law, which recognizes sacred forests as areas of cultural and spiritual potency, as well as biological diversity, empowers custodian communities to continue playing their leading role in managing Benin’s sacred forests. The new resolution will be a useful tool for advancing these efforts, say custodians and their allies. “Sacred sites and our rituals keep the land and the local climate in balance. Without them everyone suffers. This resolution will help us in our work to remind people of our responsibility to protect life for the next generation”, says Kagole Margaret Byarufu, a sacred site custodian from Buliisa, Uganda, and one of the co-creators of the 2015 statement. “Sacred natural sites are the foundation of Africa’s identity, heritage and well-being, which are at the core of the vision of the African Charter on Human and Peoples’ Rights… We acknowledge and congratulate the African Commission on this landmark step towards recognizing a core element?of original African traditions”, write civil society organizations supporting Indigenous custodians of sacred sites in a communiqué to the Commission.